Demiflux from Etsy Jewelry Giveaway! 2 Winners! 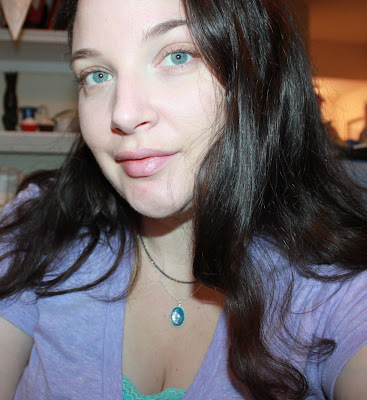 I love jewelry, but It isn't all diamonds and pearls with me. Though those are gorgeous in their own niche, I often prefer the handmade kind. There is something really personal and unique about hand crafted jewelry from a small business or one woman/man show, and I love helping them get noticed. 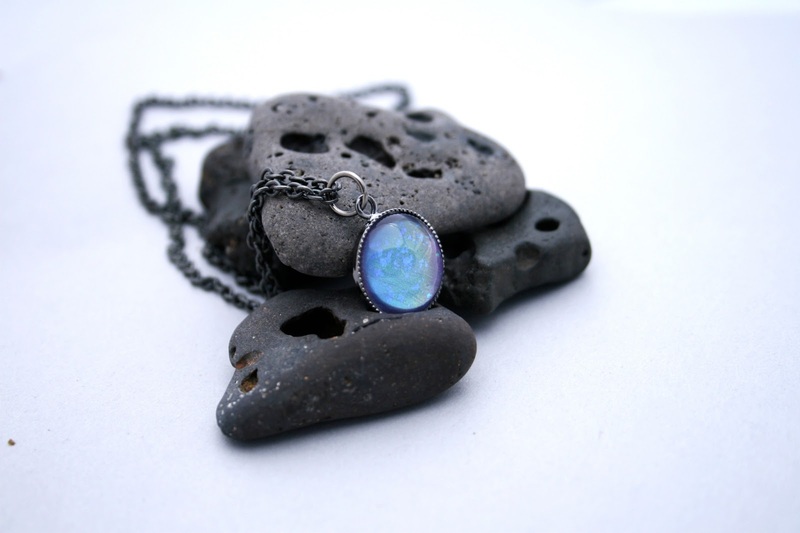 When I was approached by Demiflux, I took one look at her page of products and fell in love with her colorful, whimsical jewelry designs. Not only that, but I fell in love with the prices. Being one who has made jewelry myself and bought the supplies to do so, I know what a fair price is. Her jewelry features very creative and beautiful bubble like designs that she calls "Bijoux, baubles and wearable beauty" As creative as that line is, so are each individual piece's names, such as "Unicorn poop" and "Frozen Grapes" It really doesn't get any better than that. Demiflux gets her inspiration from the universe as a whole. From space to places she has visited, she uses that as a focal point in her art and tells little stories for each piece made. She works with a variety of mediums like hand blown glass, and uses very interesting textures! One of the things I love about her jewelry is that she uses all lead and nickel free metals, which is very nice for those with allergies. I honestly haven't found anything from her collection that I wouldn't wear, so let's get on to the rest of the eye candy already! The necklace I chose (shown above closeup) is called Star Cluster. 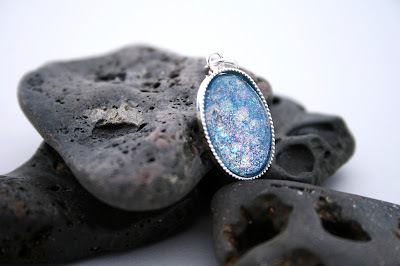 A very pretty iridescent dreamy mix of turquoise, blue, purple and pink. I love it and it really shines bright with sparkle. 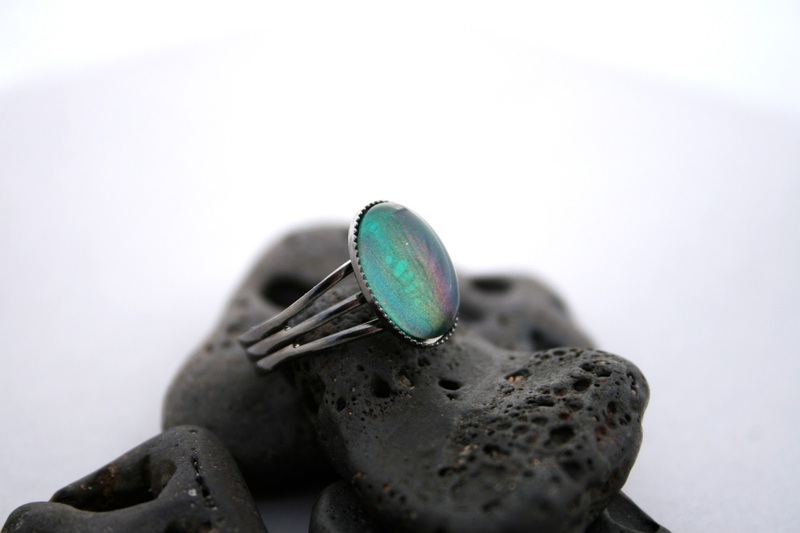 This is the ring I chose and it is called Aurora Borealis. This ring really takes you back to the mood rings from the 90's. Only without the temperature factor and lots more dimension. The colors transform on their own depending which way the light decides to hit them. This one shows so many different colors at an angle. I think this looks so beautiful and is a trademark of her pieces. It goes perfect with the necklace. 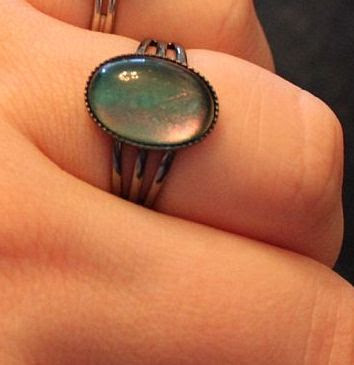 There is a new craze called Nail polish jewelry and she uses that technique among others. Hers is very similar and competitive against the rest of the designs I have seen. Especially regarding color combo and textures! Take a look at the rest of her gorgeous pieces and if you purchase, use Coupon code: BEAUTY10. You'll get 10% off your entire purchase (excluding S&H), for the first 20 orders! After 20 orders the coupon will expire. 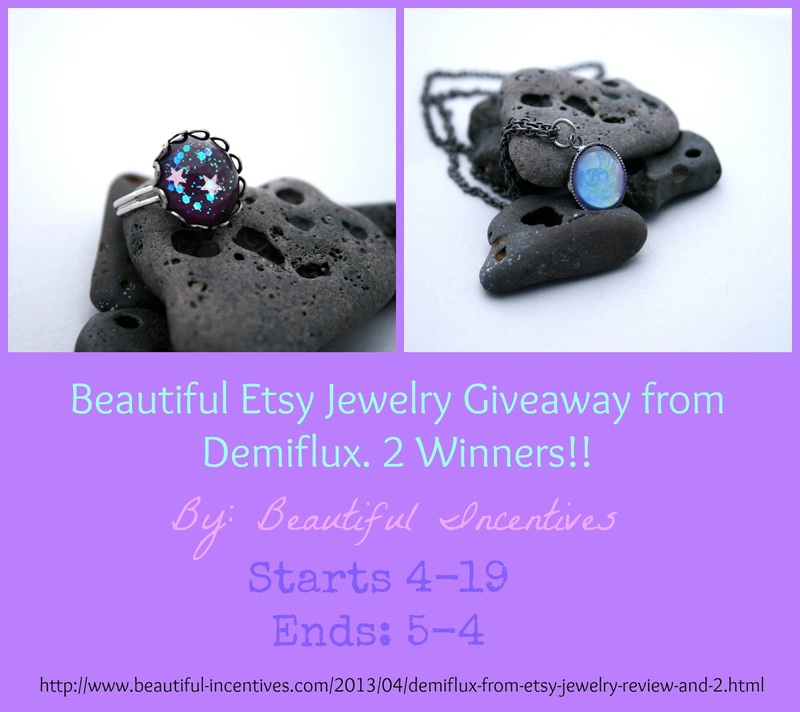 And now, I'm so excited to announce that Demiflux jewelry was generous enough to offer TWO lucky winners a piece of their own! One person will win the Carolina Sunset Necklace and the other, the Seven Sister Ring! It was inspired by her love for astronomy. A bit about the Seven Sisters, this star cluster is also known as the Pleiades or M45. It is one of the brightest and closest star clusters, it contains over 3000 stars and is about 400 light years away. 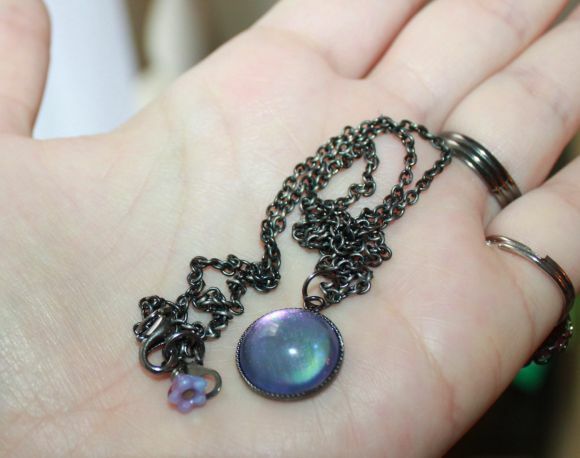 The inspiration for this necklace is the beautiful sunsets she has been able to enjoy on her journey around the U.S. Many of the sunsets her and her Significant other enjoyed in South Carolina had a lot of pale blue sky but the clouds were bursting with color. Love the colors and the unique designs! 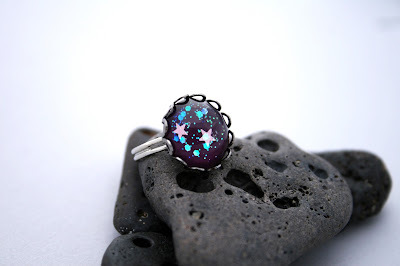 I love unique jewelry. I would love to own these pieces they are gorgeous. What a lovely name for a necklace, Carolina Sunset, its so pretty. Very nice necklace and ring. They really are cute on you. 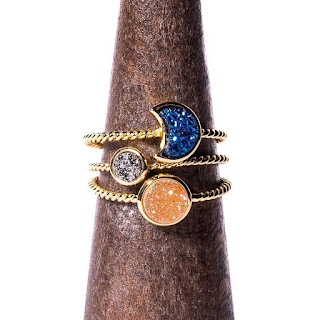 That 7 sisters ring is Fabulous! Really gorgeous, it looks so beautiful on you! 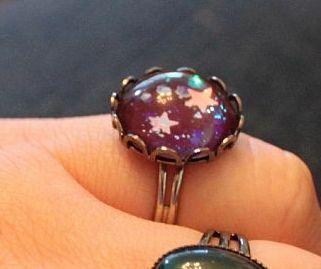 I love all the pieces, especially the ring with the stars in it. so cute!